Holohil Systems Ltd. was formed to supply the wildlife research community with state-of-the-art radio-tracking equipment and related services. The extensive expertise of the personnel of Holohil enables us to provide an integrated service to the biologist on all aspects of wildlife radio-tracking. 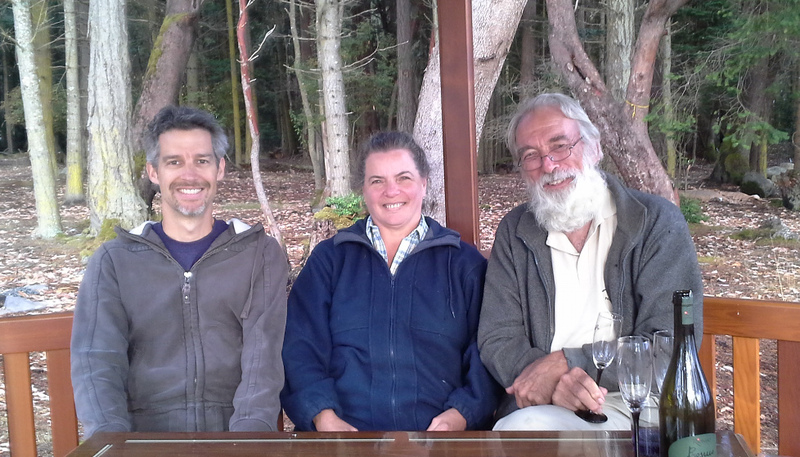 John Edwards (Business Manager) – Patricia Angehrn (Treasurer/Owner) – Fred Anderka (President/Owner). We believe that quality control is the basis of the success of our company. Our staff take pride in the quality and performance of each and every transmitter that we produce. To verify performance parameters, all units are temperature cycled and operated for 1% of the nominal life prior to shipment. We guarantee that every transmitter will work or we will repair or replace it. This website contains descriptions of the types of transmitters manufactured by Holohil. All transmitters are custom-made for each order to suit your particular field requirements. Transmitter, battery and attachment configurations are designed for your animal and conditions. All transmitters are supplied finished and field-ready, batteries installed, completely encapsulated, ready to attach to your animals. All our transmitters are crystal-controlled two-stage designs, pulsed by a CMOS or discrete multivibrator. We carry an extensive stock of crystals, covering the 138 to 230 MHz bands. The smallest transmitters (model LB-2X, LB-2N & LB-2) are activated by soldering two wires. All other models are activated by removing an external magnet, and deactivated by replacing the magnet. Temperature sensing, mortality sensing, activity sensing and position sensing options are available on most models, and more than one option can be added in some cases. All models can be rebatteried and refurbished at a fraction of the cost of new units. We specialize in the design and production of the smallest and lightest transmitters currently available for a variety of species. We are proudest of the LB-2X. Weighing 0.22 to 0.31g and having a battery life of 7 to 21 days, the LB-2X is the smallest two-stage transmitter commercially available. The light weight of this new transmitter now permits the radiotracking of smaller species than previously possible. Our smallest transmitters, have been used to study small bats and songbirds, some of which are threatened or endangered species. Concern for the welfare of the animal must be the prime consideration in experimental design. We are personally committed to designing and producing the smallest transmitters and the best attachment configuration for each species. The instrument package must cause the least disturbance to the animal to ensure the scientific validity of the resulting data. As well, the reaction of society to your research methods must be considered. With increasing public awareness of animal welfare issues, it has become paramount that radio-telemetry methods will pass public scrutiny. Every order is dealt with on a personal basis by our knowledgeable staff. We will consult with you to establish the best transmitter model and configuration suitable for your study objectives. To supply you with the most appropriate transmitters for your unique requirements we need to know the species, it’s weight, the extremes of it’s environment, the proposed method of attachment and your expectations of the transmitters. In addition to personal discussions of your requirements we encourage you to use our “Order Form” page included within this site. We are continually improving our products and developing new models. We appreciate receiving reports of your successes and especially of your problems. We also appreciate receiving reprints of any published papers or reports that are made possible with the aid of our equipment. This information is invaluable in our quest to design better transmitters and attachment methods, and to give you the best service. We enjoy the challenges of customizing our transmitters for the unique characteristics of your species and projects. What do you need that no one else has been able to produce? We can be contacted personally by telephone at 613-839-0676 from 8:00 AM to 4:00 PM Eastern Standard Time, Monday through Friday. An answering machine will record your message outside these hours. Our fax machine is available 24 hours a day at 613-839-0675 as is our e-mail: info@holohil.com.